When I think of the word obey, I think of duty. Or as our teacher taught us, the concept of “keep up.” Since it seems that I’ve always been a “lighting rod” for helping other people work out their karma, my life has often been an exercise in chaining down my ego and letting God work His/Her way, using me as a catalyst. This started early, as I was raised by a very bright, but emotionally unstable, single school-teacher mother in far north Texas. Being raised as an only child in this uncertain household made me come face to face with great fears and terrors at a very young age. Even as a child, I felt deep within that there had to be a way to overcome negativity and fear. I also felt that I was a warrior and that I would always find a way to keep up. What got me through these times was my active involvement with Boy Scouts. I had an amazing Scout leader who saw something in me, took me under his wing and taught me about honor and duty. In other words, he taught me to obey a higher code of conduct. I subsequently became an Eagle Scout, then scoutmaster. One day I went to a function with the Siri Singh Sahib right after a meeting of my Scout troop of at-risk Hispanic youth in the barrio of Houston. I was still in my Scout leader’s uniform. The Siri Singh Sahib asked me to recite to him the Boy Scout Oath (“On my honor I will do my best to do my duty to God and my country, to obey the Scout law, to help other people at all times, to keep myself physically strong, mentally awake and morally straight.”) Afterwards, he said “That makes a good Sikh.” If you live by that code, you can actually do quite well. I also had a family heritage of honorable men, especially a great-grandfather who served as a Methodist circuit-rider (traveling minister) and a regimental chaplain to an Illinois infantry regiment during the American Civil War (Sherman’s Iron Brigade). He was a close friend of a lawyer from Springfield named Abraham. So the urge to obey and serve was in my bloodline. Many people ask me about my experience of receiving the name Christ Singh. Premka Kaur, the secretary who was present when the Siri Singh Sahib calculated and then handed me the name, protested: “Sir, there can’t be a CHRIST in 3HO!” He said: “There is now!” It took many years before he would finally tell me the meaning of my name: I had to be willing to go on the cross to serve others and be willing to do whatever the universe asks of me. The first rule of the student is obedience. The first lesson on the spiritual path is realizing how much you don’t know! Walking this path shows you that there is a lot more to living a spiritual life than we think when we first begin. That understanding stays with you as long as you continue the spiritual journey. Even as a small child, I always sensed there was some way to contact and work with a Higher Force to heal myself and others. 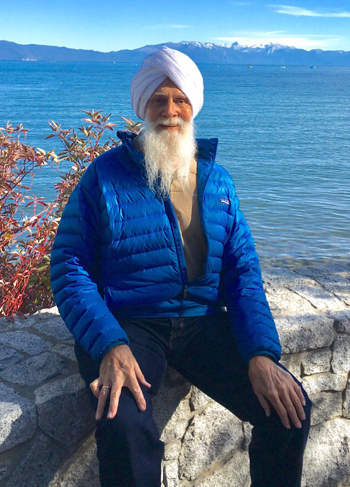 I have found that if you dig deep enough in meditation, you hear the “cosmic motor” and see the Light that is “brighter than a million suns,” as the Siri Singh Sahib said. You are never the same afterward. You simply know and you KNOW that you know. You are convinced you can always access that space. 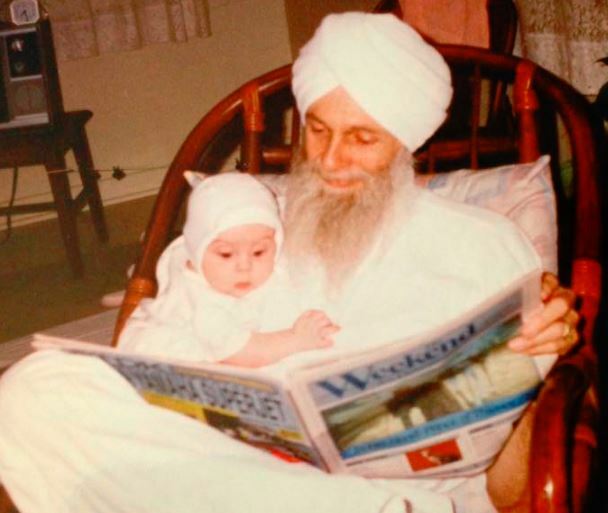 The Siri Singh Sahib devoted his life to preparing us for the times we are now living in. He pushed us so hard because he knew what was coming and he wanted us to be able to carry on after he was gone. One of the ways he did this was to give us a lot of hints about survival. He told me I already knew how to survive, so I taught survival classes at Solstice and Khalsa Youth Camp until the middle 1990s when I became too ill. He had me teach Day/ Night Escape-and-Evasion, map reading, Silent Cue Gestures, and Crossing Occupied Terrain Undetected. He talked about the planet going through a population crash, and major changes in the coastlines. He spoke about “structures breaking apart” as the planet tries to adjust to the imbalances of what we now call climate change. He also shared with me lots of his herbal formulas, recipes, and techniques to help our bodies withstand the stress of the times. 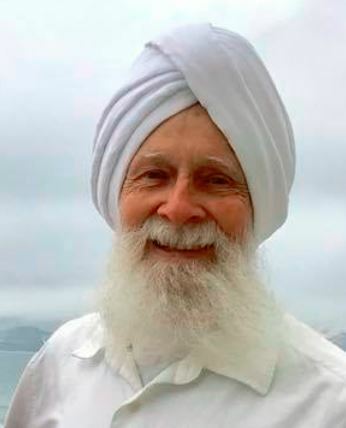 He was very specific about the pronunciation of mantras: The mantra “Wahe Guru” MUST be pronounced with pursed lips as “water dripping from a faucet”—“WA-hay Guru.” I had the blessing of serving as his bodyguard whenever he came to Texas and was able to watch his example of selfless service and how he worked with others. He taught by his own example and trained us through lots of discipline and hard work to keep up, so that we could instill that in our children and teach them how to serve. Witnessing the state of today’s world, we can now see so vividly why that was so important. In my opinion, the ultimate expression of love is to be willing to sacrifice yourself for whom and what you love. In my case, it is my love for my Dharma, my love for my family, my love for nature, and my love for my country. 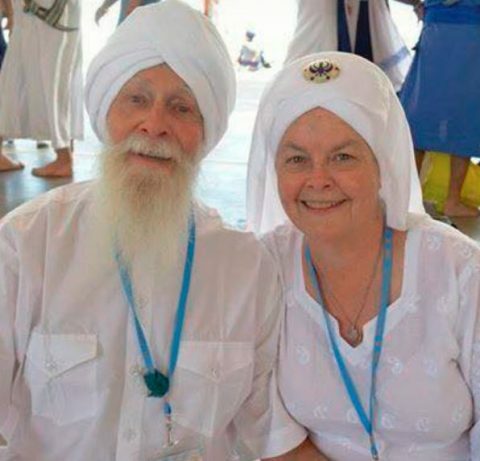 The Siri Singh Sahib told us that as Siblings of Destiny we must learn to work together to bring about this change of the Age; that it was time for mankind to “walk hand in hand with God.” To become so bright from the Light within that whatever we do would inspire everyone. He told us to go out into the world, quietly bless everyone, and remain in an attitude of gratitude. This clear understanding allowed him to relate so well to other powerful spiritual figures like Pope John Paul II and the Dalai Lama. They all spoke the same language! They had learned how to step beyond their limited sense of self and to live in excellence. I got to experience this on a small scale through my more than 9 years of service on the board of iACT, (Interfaith Action of Central Texas) in Austin. I developed many lasting and deep relationships with those of other faiths. 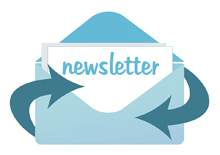 Our communal mission was to help people of all faiths excel in their own individual ways. One of the greatest tools we were given on this Sikh path and one that brings us into our own excellence is reading from the Siri Guru Granth Sahib and reading and reciting the Banis. Beginning in the mid-1990’s I became increasingly disabled by a “progressive blood disease” and had to miss 3HO Solstices/courses for the next ~25 years. Much could be said about this experience— how I survived it and how I overcame it. 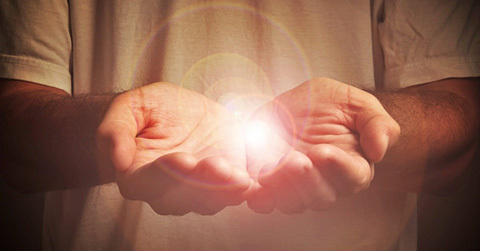 But briefly, through my own healing experimentation, using the Siri Singh Sahib’s healing formulas and then through the facilitation of a dear friend and Sat Nam Rasayan healer in Austin, in late 2016 I was miraculously healed almost overnight. This was the greatest example I’ve ever personally experienced of the excellence of keeping up and the power of God and Guru to heal us of everything—even those shadows that have been with us for lifetimes! All of these tools that were so abundantly given to us by our teacher through his own sense of duty and sacrifice were not only a gift to us but to all of humanity. And they are needed now more than ever. SS Christ Singh began studying with the Siri Singh Sahib in 1972 and became an ordained Sikh Dharma Minister in 1974. Along with many other long-time teachers, he gave input for the content of the original Level I Kundalini Yoga Teacher Training. In 1975, at the Siri Singh Sahib’s instruction, he moved to San Antonio, TX, to teach Kundalini yoga and recreate the 3HO ashram. Later, again at the Siri Singh Sahib’s instruction, he and his wife moved to Austin, TX, where he served for many years as a Kundalini Yoga teacher, yogic therapist, husband, and father. He and his wife, SS Prabhu Prakash Kaur, have recently retired and are traveling around the country sharing their love of Kundalini Yoga and the Siri Singh Sahib’s teachings.